EVANSTON, Ill. (AP) — Safety Jared McGee recalled how little he knew about Northwestern early in the recruiting process and the impression coach Pat Fitzgerald made during a campus visit. It’s safe to say the coach played a major role in luring McGee to Evanston. The program’s winningest coach by a wide margin, Fitzgerald has No. 21 Northwestern playing in the Big Ten championship game for the first time. The Wildcats (8-4, 8-1 Big Ten) face No. 6 Ohio State (11-1, 8-1) ) in Indianapolis on Saturday. If they pull off the upset, they will clinch their first Rose Bowl appearance since their coach was a star linebacker on the 1995 team. Back then, the Wildcats captured the nation’s imagination with a stunning turnaround after 23 losing seasons. This time, they simply found their footing after stumbling in the early going and won the Big Ten West. With quarterback Clayton Thorson still limited after surgery to repair a torn anterior cruciate ligament in his right knee, Northwestern dropped three in a row following a season-opening win at Purdue. Top running back Jeremy Larkin had to retire because of a spinal issue following the third game. Northwestern went 0-3 in non-conference play, with a loss to Akron at home. Despite all that, look at the Wildcats now. Fitzgerald earned some recognition this week when the conference’s coaches and media selected him Big Ten Coach of the Year. But the Wildcats have a chance to grab a bigger prize. “The brotherhood of this team is the hallmark of what’s been the glue that’s kept us together through the adversity,” Fitzgerald said. The Chicago-area product was Northwestern’s linebackers coach and recruiting coordinator when, at age 31, he took over in July 2006 following the unexpected death of Randy Walker. In the 13 seasons since, Fitzgerald has a 95-69 record and nearly twice as many victories as the next guy on the school’s all-time list — Pappy Waldorf with 49 from 1935-46. 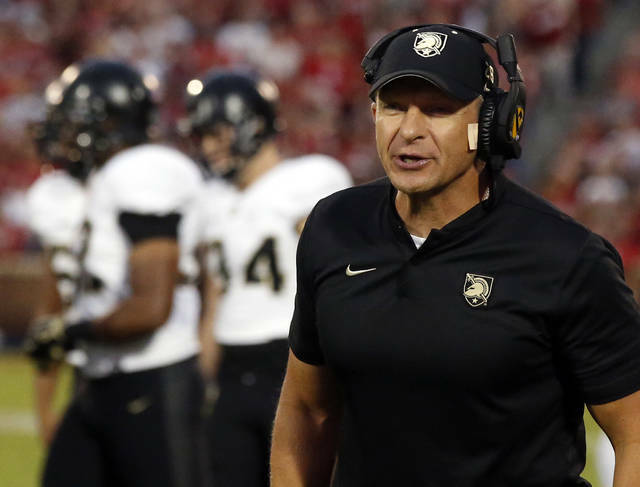 Among active Big Ten coaches, he is second in tenure only to Iowa’s Kirk Ferentz (20 years). As a player, assistant and head coach, he has been a part of 13 of Northwestern’s 15 bowl games. Wins against top 10 teams have been scarce, with seven straight losses since a victory at No. 9 Nebraska in 2011. The Wildcats’ only other top 10 win under Fitzgerald was against eighth-ranked Iowa in 2009. They haven’t beaten a team sixth or higher since knocking off No. 6 Michigan in 1996 — their coach’s final season as a college player. Northwestern generally doesn’t get the most prized recruits. But the Wildcats have consistently fielded a winner the past two-and-a-half decades, particularly under Fitzgerald, who got a new contract through 2026 prior to last season.